The Chula Vista Bayfront project represents one of the last truly significant large-scale waterfront development opportunities in Southern California. At approximately 535 acres, the project seeks to transform a largely vacant and underutilized industrial landscape into a thriving recreational, residential and resort destination on the Chula Vista waterfront. When complete, the public will enjoy more than 200 acres of parks and open space, a shoreline promenade, walking trails, RV camping, shopping, dining and more. While providing long-awaited, enhanced shoreline recreation and an active, commercial harbor in the South Bay, the Chula Vista Bayfront project will also establish ecological buffers to protect wildlife habitat, species and other coastal resources. Combined, the future Harbor and Sweetwater Parks will account for more than half of the new park space planned for the Chula Vista Bayfront project. The Port and the City of Chula Vista are committed to an inclusive and open outreach process through which community members can share their vision for these important park spaces and continue to help shape the future of the Chula Vista Bayfront. While each park will be unique, they will be inherently connected and offer the community a full spectrum of ways to engage with the waterfront in complementary spaces. Harbor Park will provide signature amenities, recreational opportunities and programming in its much larger available acreage. Sweetwater Park will connect visitors with the bayfront’s ecology and provide environmental educational opportunities and family/child-oriented recreational exploration. The public is invited to participate in a series of community outreach meetings in which the Port and the City hope to learn how to best balance the recreational wants and needs of the community that will create a welcoming, warm environment for visitors with equally important efforts to preserve Chula Vista’s natural resources and improve and protect waterfront access for future generations. After completing a decade-long planning effort and clearing several regulatory hurdles, the Chula Vista Bayfront Master Plan was unanimously approved by the California Coastal Commission on August 9, 2012. California Coastal Commission unanimously approves Chula Vista Bayfront Master Plan. South Bay Power Plant imploded. Port and City of Chula Vista celebrate completion of the H Street extension project. Port enters into an exclusive negotiating agreement with RIDA Chula Vista, LLC for a resort hotel and convention center. Port adopts a Natural Resource Management Plan. Port selects Sun Communities, Inc. & Northgate Resorts LLC to develop and operate the Destination RV Park. Port and City of Chula Vista approve a non-binding Letter of Intent (LOI) with RIDA Chula Vista, LLC for the resort hotel and convention center. Port approves the Costa Vista RV Resort project by Sun Communities, Inc. and authorizes a Coastal Development Permit, pending satisfaction of certain conditions. Port and City of Chula Vista approve a Disposition and Development Agreement (DDA) between the Port, the City and RIDA Chula Vista, LLC. The DDA sets forth the necessary steps for the parties to authorize the financing of the project and commence construction, ultimately leading to a ground lease and required subleases for development and operations of a world-class hotel and convention center. The Port and the City of Chula Vista continue inclusive and open outreach to gather input on the community’s vision for the Chula Vista Bayfront with design workshops for the future Harbor and Sweetwater Parks. The first workshop was held Sept. 27 for a discussion on the community’s preferred uses at both parks. 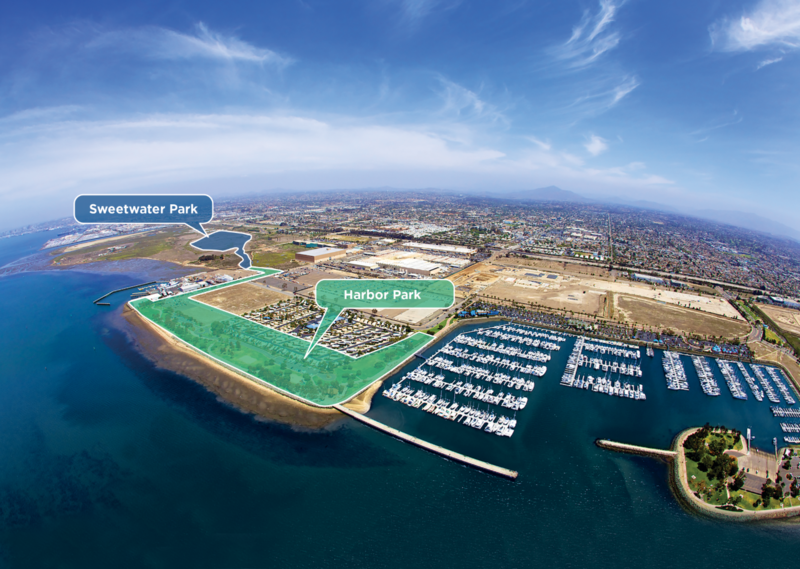 The Port and the City of Chula Vista hold second Harbor Park Design Workshop. The Port and the City of Chula Vista hold second Sweetwater Park Design Workshop. Board of Port Commissioners to hold a special meeting to consider granting project approval and authorization of a Coastal Development Permit for the proposed RIDA Chula Vista, LLC resort hotel and convention center. What is the Chula Vista Bayfront Project? What projects are underway for the Chula Vista Bayfront? 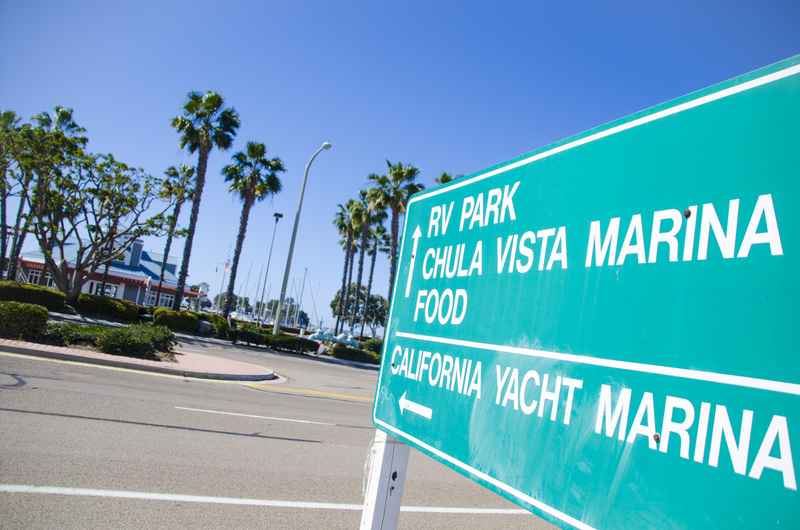 The scenic site for the destination RV park is near the Living Coast Discovery Center, the Sweetwater National Wildlife Refuge, and the Bayshore Bikeway, and offers stunning views of San Diego Bay, the Pacific Ocean, and the downtown San Diego skyline. The Port of San Diego has been awarded $4.8 million from the California Natural Resources Agency for its Sweetwater Bicycle Path and Promenade project. It will consist of a three-quarter mile Class I bike path and pedestrian walkway linking the regional Bayshore Bikeway to waterfront amenities and future development sites on the Chula Vista Bayfront. (A Class I path provides a completely separated right of way for the exclusive use of bicycles and pedestrians with cross-flow minimized.) The proposed budget for the Sweetwater Bicycle Path and Promenade project is $5.63 million. Construction is anticipated to begin in 2019 with completion in 2020. What are the Chula Vista Bayfront project’s objectives? Establish ecological buffers to protect adjacent environmentally sensitive resources.